The little road followed in this pleasing guide is less than 20 miles in all and is more important to our world than any other on earth. It leads back to two thousand years ago, when Jesus preached to the Galileans. In ancient times, this road was a small section of the very important “Via Maris.” Millions of pilgrims have traveled along this road through the centuries. This lively guide deals with the area often called the “Evangelical Triangle,” and includes the sites of ancient Magdala, Tabgha, Capernaum, Chorazin, Bethsaida and Kursi, with a reverent glance upward to the Mount of the Beatitudes. This is the first time a collection of past pilgrims and visitors, among them Saint Jerome, Ernest Renan, Robert Graves, Bishop Arculf, Mark Twain, and yes, even Rasputin, has been given the task of explaining to us, today, what this road was like a hundred, five hundred, a thousand years ago; and of telling us what they thought mankind has made of Jesus’ teachings. Nearly Everything You Wanted to Know about "Galilee Revisited: With Mary Magdalene" you can find here! What does Via Maris mean and where was it? 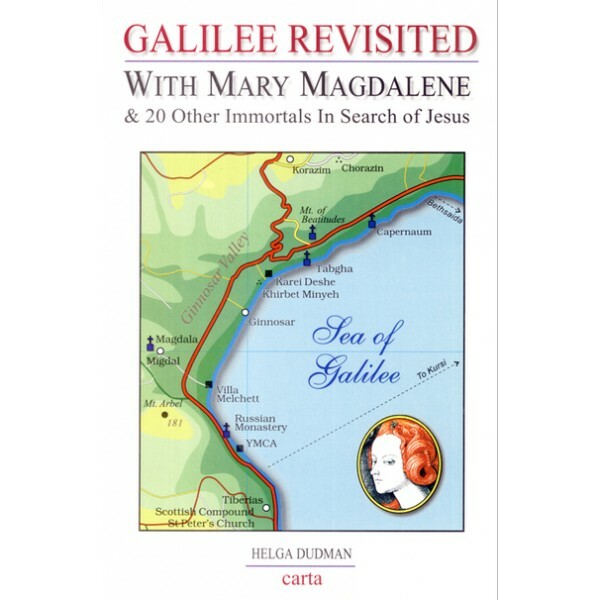 Who was Mary Magdalene – a repentant prostitute, a redeemed sinner, Jesus' closest companion, a tour guide in this fascinating book Galilee Revisited: With Mary Magdalene, or any other cliche? To find out about these and many other questions about the "Evangelical Triangle" which included ancient Magdala, Tabgha, Capernaum, Chorazin, Bethsaida, Kursi and the Mount of the Beatitudes, around the Sea of Galilee, all you need is " Galilee Revisited: With Mary Magdalene"